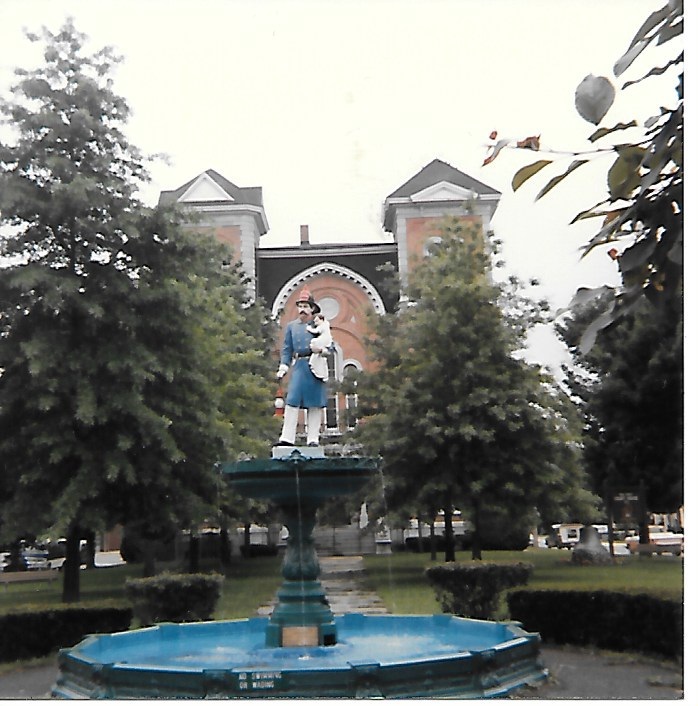 Bloomsburg Fire Dept. 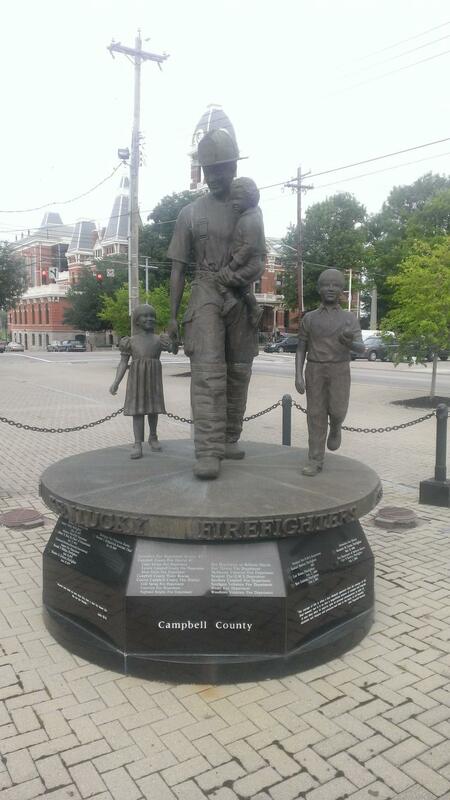 - Firefighter MemorialsMemorials to fallen firefighters that our members have photographed during their travels. 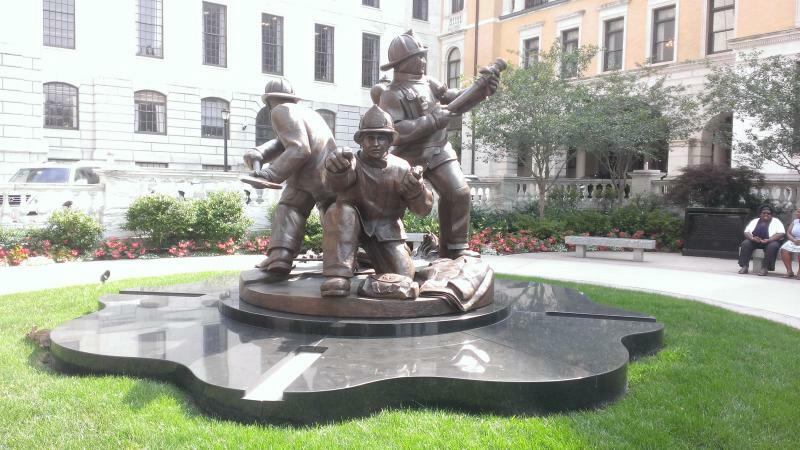 Memorials to fallen firefighters that our members have photographed during their travels. 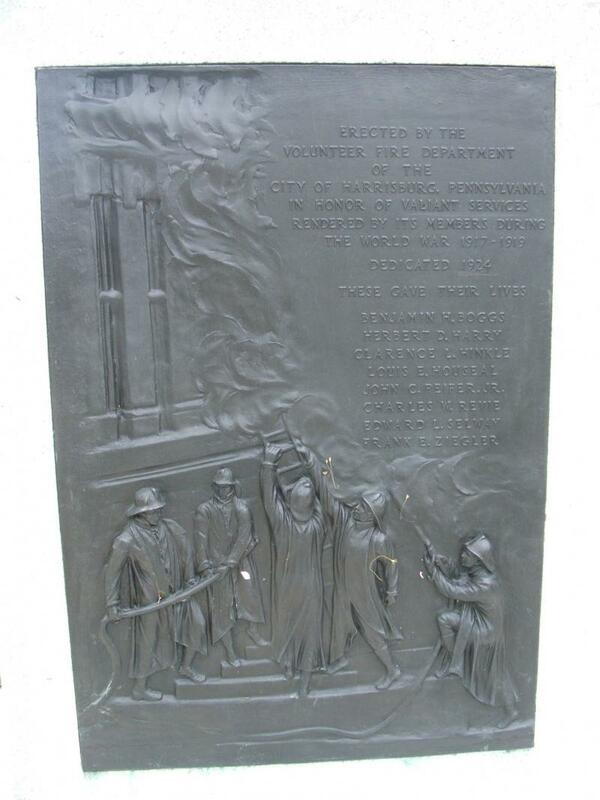 Volunteer New York City Firefighters fought with the Army of the Potomac, suffering 711 casualties out of 1350. 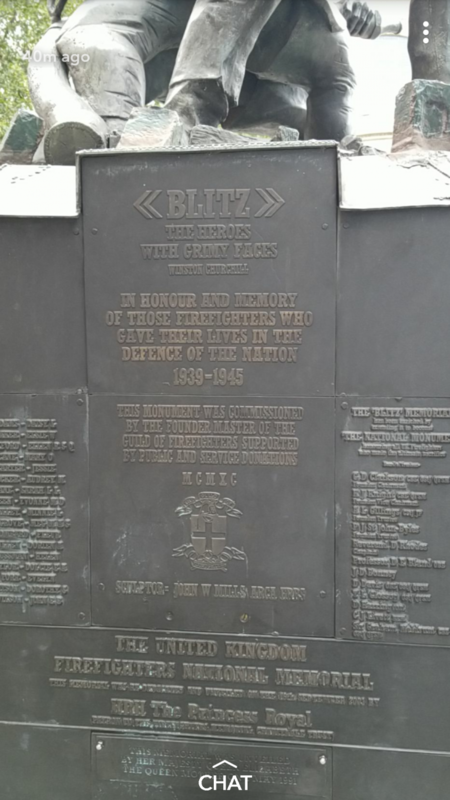 The "Blitz" Memorial names a staggering 1.027 firefighters who died in the UK fighting flames during World War II, and has since been enlarged to name fire fighters who died in peacetime as well. On September 27, 2014, the Bloomsburg Fire Department had the honor of displaying the "United We Stand, United We Sew" 911 Memorial Flag at the Bloomsburg Fair. This flag is the passion of its creator, Tom McBrien (in photo below in blue shirt). Sewn together are the names of individuals killed in the terrorist attacks in September 2001 and flags of nations/organizations that those individuals called home﻿. Members of law enforecement, EMS, and the fire service and their families helped during the raising ceremony. 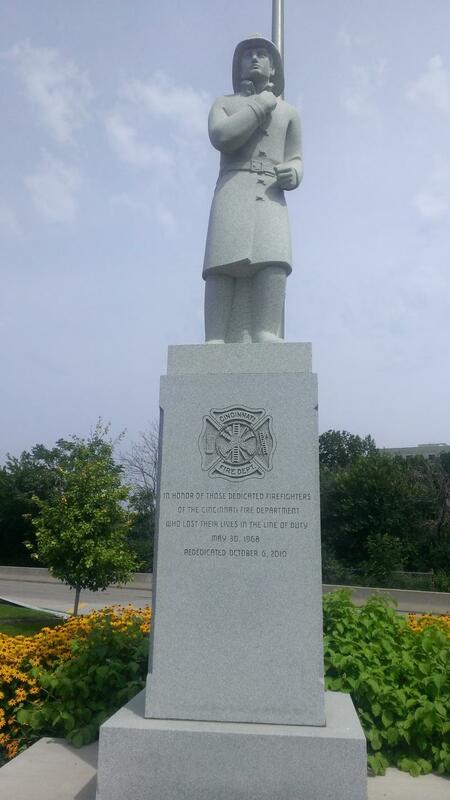 The Bloomsburg Fire Department chaplain, Rev. Gary Weaver, gave the invocation. His inspirational words are preserved below. Good morning.....in this moment of gathering may our God bless us all. Some would say we are called to this place in this moment to never forget. The challenge of never forgetting is that never forgetting only invites and embraces those who were a part of the experience. With that challenge....to never forget, I would this morning challenge us to a deeper and more authentic idea of always remembering. To encourage always remembering is to share the experience no matter how painful to future generations so that always remembering becomes a faithful act of those who will never forget. Today many of us rededicate ourselves to never forgetting but today we also pass our memories, our emotions and collective and continued grief to those who need to always remember. We continue to live in a broken and deeply divided world. To this day, We cannot comprehend what drives people to acts of terror and destruction, and to a willingness to kill and innocent people. we have prayed for those who live with physical and mental scars of terrorism. Since the day that we remember simply as 911 we have come to realize that true peacemaking can only become a reality in our world today if it is first a matter in our hearts. September 11 reminded us that our country has been blessed with tremendous resources that we must use wisely in the service of others, both within our own borders and around the world. As this flag waves we hope for civility and charity so that we can treat others with respect and love. As this flag waves we hope for gifts of faith and hope to strengthen our spirits by placing our trust in you rather than ourselves. As this flag waves we hope for gifts of humility and kindness so that we may put the needs and interests of others ahead of our own. As this flag waves we long for gifts of patience and perseverance to endure the long struggle for justice. This flag was sewn stitch by stitch in memory of those whose lives were taken and in honor of those who gave their lives. As each small flag on this larger flag represents a life lost our prayer is that each life lost will be a life never forgotten. Heavenly Father, maker and lover of all people, we humbly ask you to bless us. Bless this flag and let it always remind us of the principles it stands for. Help us to work together in peace so that we may give you glory by our lives. Bless this flag through the eyes and hearts of each fair goer who visit this site today. Help us to be a part of a larger community of those who indeed will never forget and those who will always remember. Bless this flag as it is raised, bless this flag as it stands before this day and when evening comes bless this flag and the community that receives it from us. Copyright 2013 Bloomsburg Fire Department. All rights reserved.